The advent of the internet connected the world, bringing people closer together than ever before. Not only are people more connected, the world they are experiencing is growing more connected by the day. In this burgeoning market of connectivity, we are proud to share that we are leaders. 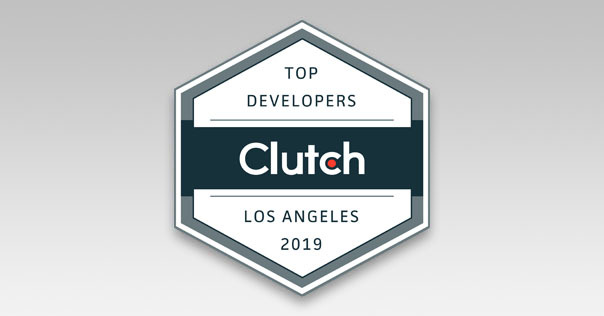 Clutch named Themis Web Technologies one of the top developers in Los Angeles. Clutch is a ratings and reviews platform for B2B service providers, using data-driven research and client reviews to help businesses make smarter partnerships. After being the subject of their research, we were ranked above hundreds of other developers worldwide, with notice given to the quality of our work, value of our services, and expertise. 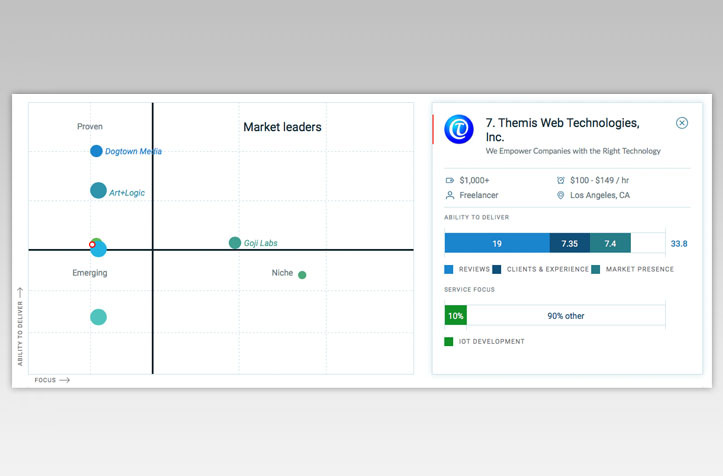 Clutch showcases their market leaders in various Leaders Matrices, and Themis is proud to be among the top Internet of Things companies. We strive to become a trusted service provider and partner for each of our clients, and comments like this let us know that we are hitting our mark. We have already built a strong presence on Clutch, but we are excited to see what else our clients have to say. The folks at Clutch are not the only people that have found our work impressive, we have also been featured on their sister-site, The Manifest. The Manifest is a business resource that provides industry insights and how-to guides to primarily small and midsize firms. They included us on their list of the top custom software developers in Los Angeles, citing our affordability as well as the quality of our work. We are glad to be listed as a top developer in two separate fields of development, speaking to our overall quality as a digital partner for firms in Los Angeles and beyond. Thank you to all of our clients, the trust that you place in our solutions and the support that you show us means the world to us. We are proud of everything we have accomplished, but we could not have done it without you. It has been a pleasure to work with you, and we cannot wait to see what else you have for us.